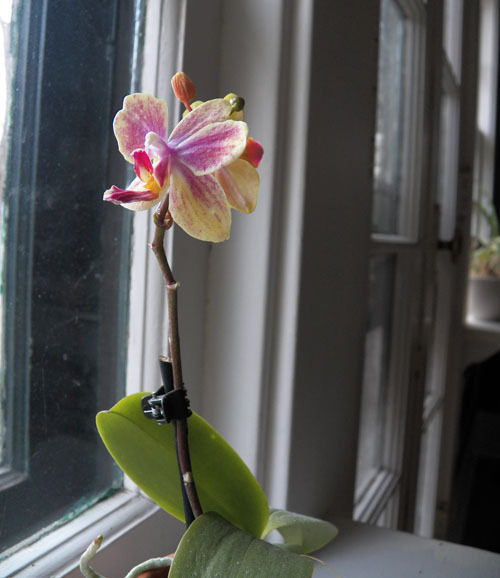 I got this orchid at Wegmans. 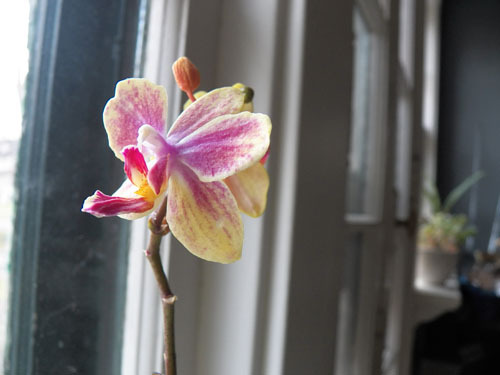 What you can't tell from the picture is it is a mini-orchid! Before it bloomed the buds were the size of peanut. 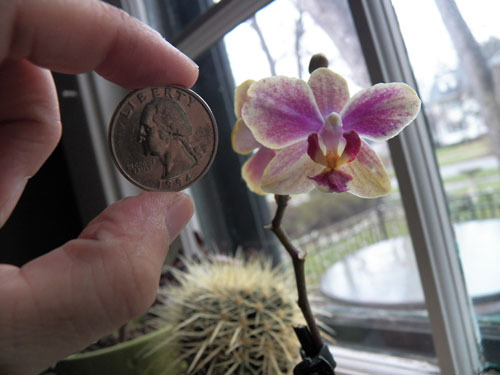 I tried to hold a quarter next to the flower so you can see how small it is, but it just looks like I'm holding the quarter really close to the camera. You will just have to take my word for it. 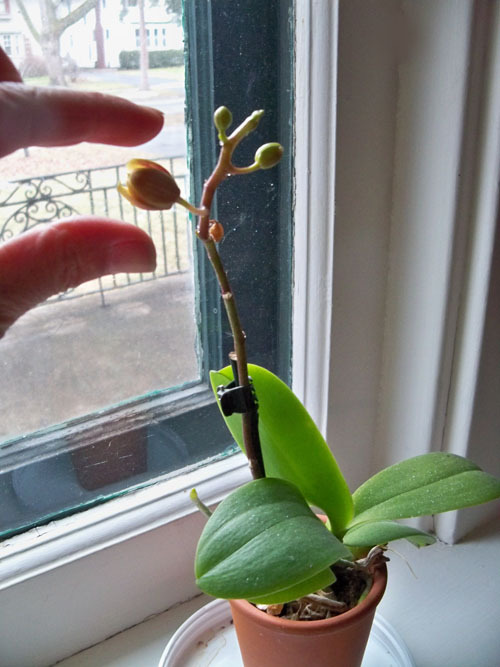 It's a tiny orchid! bah ha ha ha ... love the quarter comparison...classic!